Floating ombre white and gold foil-look dots on a black background. **Note that any "foil-look" design elements are not actually gold foil - they are printed to look like foil reflecting under light with colored ink in shades of yellow and brown. NOTE: Sizes listed for duvets/comforters are approximate. Dimensions may actually end up being slightly smaller based on stitching during manufacturing, and note that some mattresses may be slightly larger than standard for that size, and some customers prefer more or less overhang than others. So for a perfect fit on your bed, we recommend measuring your mattress and then calculating how much overhang you are hoping for so you know which size to buy! If the measurements are coming out closely, we recommend sizing up! Thank you! Same price for either a Duvet Cover or a Comforter! Lightweight ultra soft microfiber duvet covers. Design printed on one side and other side is left soft white. Hidden zipper for easy care. Machine washable. Includes duvet cover ONLY - duvet insert is not included. Our comforters are cozy, lightweight pieces of sleep heaven printed onto 100% microfiber polyester fabric for a soft, premium touch. Lined with fluffy polyfill. Machine washable with cold water gentle cycle and mild detergent. 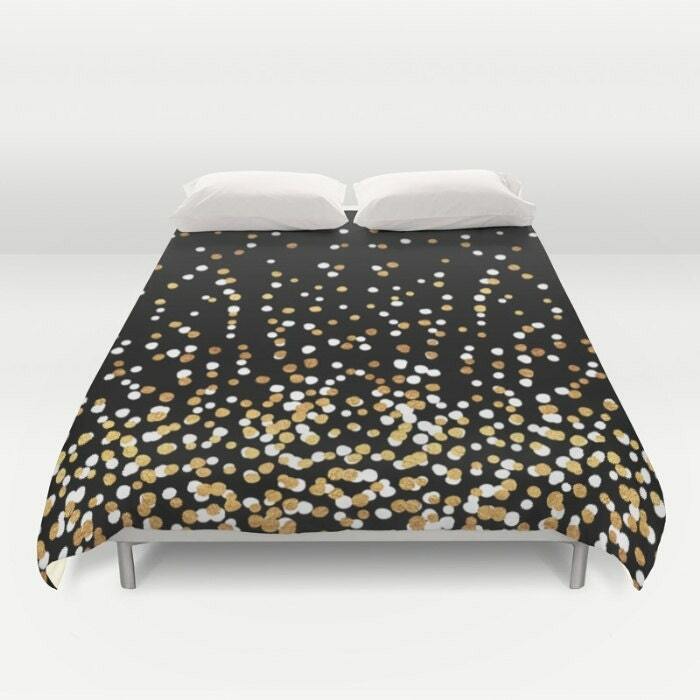 Your duvet cover or comforter will be made to order and should take about 3-5 days to ship, then allow additional time for shipping based on destination. Contact us to discuss custom orders.